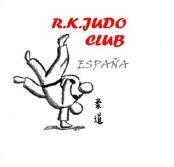 R.K. JUDO CLUB started on the Costa del Sol in 2002 and has gone from one success to the next with each of their students. Rodd - 4th Dan Coach - has taught children and adults of all levels and ages for the past 40 years. During that time he has produced many champions within the sport from Club level to British, International champions and European and world Veterans. Karen - 2nd Dan Coach - is a former British and International Champion and has trained in Judo fo 30 years, now coaching alongside Rodd. This serves to make this one of the best, most fun, friendly and enjoyable judo Clubs around. Both coaches are fully insured and police checked with up to date first aid certificates. This Club travels around Europe to competitions with the more confident and advanced players and have produced National and International champions at both Junior and Senior levels. The first lesson is free so you have nothing to lose if you're interested in mastering a truly unique and enjoyable sport that strengthens the mind, body and character unlike any other. Judo is an Olympic sport and is the martial art of self defense. It is fantastic for children, helping to develop their mind and body in many ways. It produces good balance, strength, flexability and coordination as well as developing a good level of concentration and discipline. 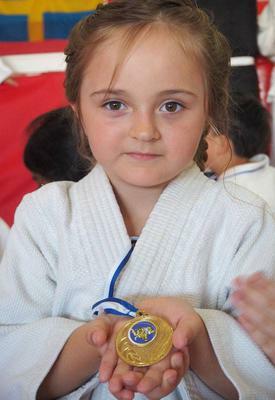 Confidence building is a very important part of growing up and judo is great for teaching children skills that they thought they would never be able to do. This amazing education comes in a fun and safe environment, mixing with other children to develop their social skills. For adults, judo's benefits are much the same as for the children, but if it's fitness you're after then this is a great sport to get just that. Proven to be one of he most physically demanding sports it uses every muscle in the body. But don't let this put you off. ‘The Gentle Way’ is its meaning, because judo has many elements such as self defense, competiton and Kata (formal demonstration), and many adults either starting later in life or wanting to continue but with less impact do self defense or Kata as part of their judo class. All classes are adapted to suit all levels and abilities. Throughout the year the Club rewards children with certificates of achievement, player of the month and various schemes to encourage their development. Three to four times a year they run small competitions for them to enter and use the skills they have learnt in a competitive situation. Medals and certificates are rewarded for their efforts. Judo is a continuous development of skills. The R.K. Judo Club is a member of the BRITISH JUDO COUNCIL and follows the British judo program for grades and promotions. Once a member of the Club, grades can be awarded following a small practical examination of technical abilitiy. Under 10 years gain coloured tabs on a white belt and over 10’s gain coloured belts. This is without doubt the best judo club you could possibly wish for. My son has been there for 4 years now and has gone from strength to strength. Karen and Rodd are the most wonderful sensis. Bring your kids along and watch them grow in confidence. strength and discipline. After many years I started judo again in this club and from the first day i felt like home! Judo keeps you fit and with all the different nationalities it is great fun and you learn a lot of everybody no matter what age! We are one big judo family. My boys started last year and really love it. They look forward to it every week. The teachers(sensies)are great and it is amazing how after just a few lessons even the little ones learn so much. When they won medals they would not take them off for days! I would highly recomend RKJJUDO.